I am beyond excited for this blog post today! 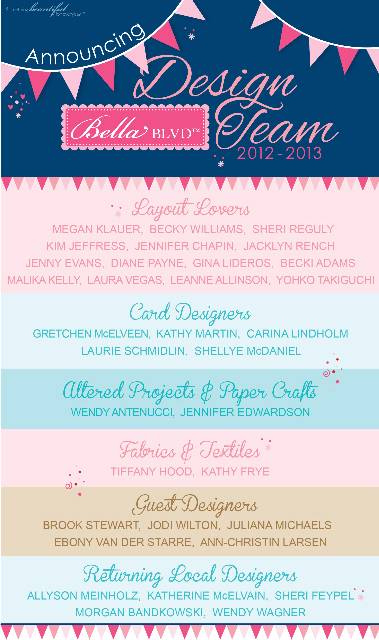 So pretend for a moment that I am shouting from the rooftop, "I'm part of the 2012-2013 Bella Blvd Design Team!!!" I sent in my application a few weeks ago not expecting anything but I kept thinking, "Wouldn't it be awesome if I made the team?" When I got Laura's email I actually screamed. I also may have hit my husband to make sure he was reading the exciting news over my shoulder. Congrats to all the ladies on the team! I can't wait to work with you! Bella Blvd is one of the favorite manufacturers. I love their bold colors and their embellishments are fantastic. 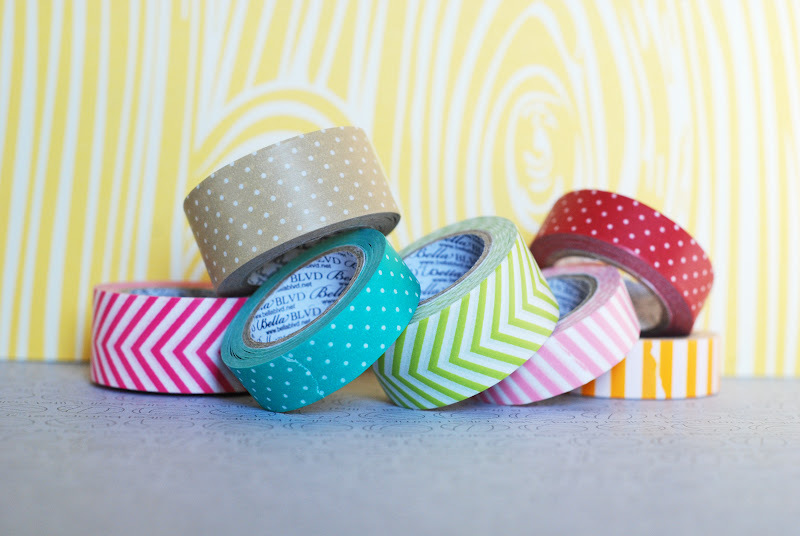 Perhaps my favorite of their embellishments is one of their newest products designer tape. I'm excited to get to share two of the projects that I submitted with my application. The first one I wanted to share is a layout I did of my lil man that is about is bright blue eyes. I used a mixture of Bella products from a couple of different lines Mr. boy and Making the Team. The journaling reads: Austin you look just like Cole and Daddy. You have bright blue eyes and very blonde hair. You are such a handsome little man. 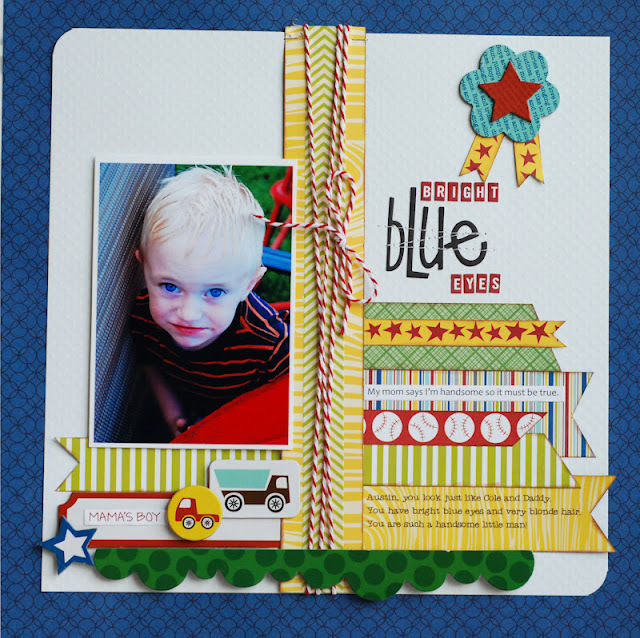 Bold bright colors are my favorite to work with when I'm creating "boy" layouts. The second project I have to share is a layout about my little guy and a conversation we had about his older siblings going to school. Again, I used a combination of Bella products from a few different lines. The journaling reads: Mommy: Austin, what are you and mommy going to do when Cole and KK are gone to school? Austin: Well, Lainie won't be in school, she's too little. I hope you enjoyed your visit to my blog today. I will have many more projects coming up using Bella Blvd products including the remaining to projects from my application. AMAZING BECKI!!! I'm so excited for you! huge, huge congrats girl! Can not WAIT to see more of your beautiful creations. many hugs to you! Good job, Becki! You are SOOO talented, I love seeing what you create! You will be rockin'! I love your pages! Congrats, Becki! becki these are so beautiful! im so happy you made bella dt!! That's awesome. I'm excited to see what you create next! Thanks so much for your sweet comments. I'm so excited for this new adventure!